Bollywood Actress Aishwarya Rai, she is most popular and demanded Actress of India and winner of Miss World 1994. She was born on 01 November 1973 in Mangalore, Karnataka, India. Her family moved to Mumbai, where she attended the "Arya Vidya Mandir High School". Aishwarya Rai joined college at Jai Hind College and DG Ruparel College. She has got lot of awards and including two Filmfare Awards from eleven nominations, and she was awarded the "Padma Shri Award" by the Government of India in 2009. She has often been called "The Most Beautiful Woman" in the world. Aishwarya Rai started her Filmi career and she made her acting debut in Mani Ratnam's Tamil film "Iruvar" 1997 and after that her first Film was released "Aur Pyaar Ho Gaya 1997". She had acted very best in commercial romantic Drama "Jeans" 1998 in Tamil language. 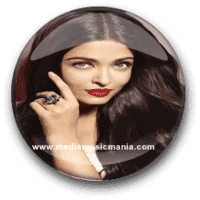 Aishwarya Rai got huge success and she has won two Best Actress awards at Filmfare for her performances in "Film Hum Dil De Chuke Sanam 1999" and popular Hindi "Film Devdas 2002".￼ I have selected below most popular Beautiful Pictures of Aishwarya Rai. Aishwarya Rai Bachan got marriage with Abhishek Bachchan a son of legendary Actor Amitabh Bachchan on 20 April 2007. Aishwarya Rai had two film released in 2006, J P Dutta's "Film Umrao Jaan" and Yash Raj Film "Dhoom 2". In 2007, Aishwarya Rai played the wife of Abhishek Bachchan's character in Mani Ratnam's social drama Guru. Aishwarya Rai Bachchan is one of the most popular Bollywood celebrities in the world and her beauty and performances have made her as a style icon for young women, her successful career is still continued.